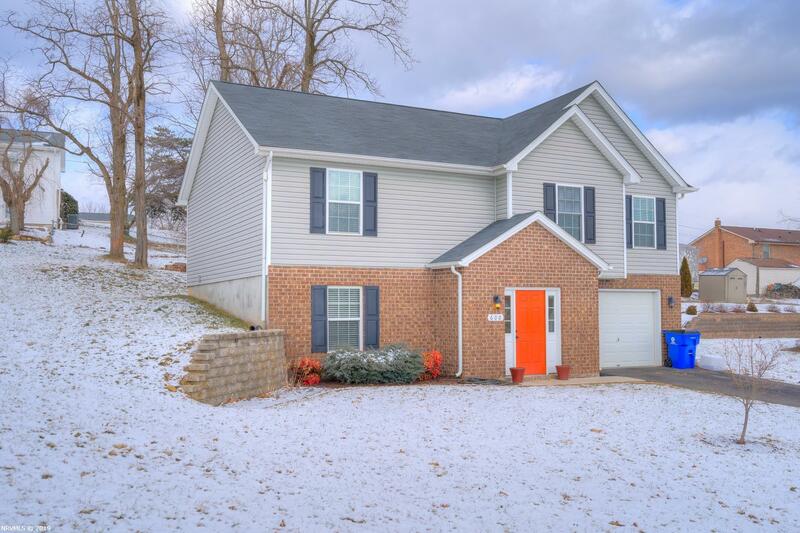 Raised Ranch style home in popular Kensington development. Open floor plan on main (upper) level with Kitchen open to Living area. Stainless appliances all convey. Split bedroom design with master BR/ Bath on one side and 2 bedrooms and second full bath on the other. Lower level has an over-sized single garage, 4th BR (or second living space) large finished laundry room (washer and dryer convey) and Newly finished 3rd full bath with beautiful tile shower. Homes in this neighborhood don&apos;t last long!